Its the 2nd competition on Deviant art and its not partnered with Square-Enix, but with Capcom. 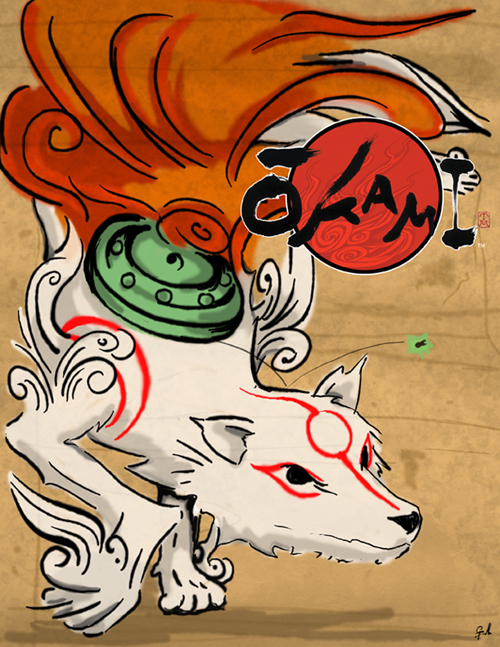 This time, they are asking to submit a art for the game Okami (being ported over for the Wii). The winner will get a Wii console (I want it) and the second will get the game (Wii). Runner ups get Deviant Art goodies. From what I’ve seen, most artists illustrated Amaterasu more. Some have Orochi included. Theres a odd one in the submission list, a rabbit (I think its kawaii). so anyways, besides slacking off from my Uni work, I did the illustration of Amaterasu. And yes, its submitted. I wish I could win, but I think the over spammed Amaterasu and the use of the game style is killing the chances of winning. So I think I’ll do a second one thats more graphically appealing and modern. (Yes, multiple submissions is ok).